My poem “The Atheist’s Prayer” has just been published in issue 96 of Chiron Review. Welcome to my site! I’m excited to announce that my first poetry chapbook, Blueshifting, will be coming out later this year from Upper Rubber Boot Books. They’re also publishing one of my pieces in 140 And Counting, an anthology of microfiction and poetry from Twitter zine 7×20. You can learn more and preorder through their Kickstarter campaign, running through September 15, 2011. 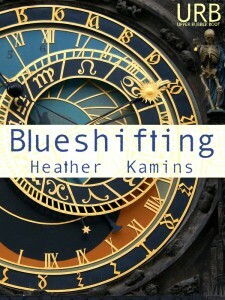 If you’d like a preview of Blueshifting, several of the poems it includes have been published online in Neon and Autumn Sky Poetry. Stay tuned here for updates on this and other forthcoming work!